Dr. Courtman is trained in cellular and molecular pathology and biophysics with, extensive expertise in the development of novel therapies for cardiovascular disease. 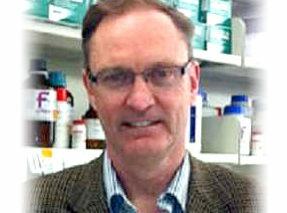 He has a long standing interest in the development of novel cardiovascular biomaterials and the regulation of biological responses within the unique spatially-oriented matricellular environment of blood vessels. Dr.Courtman has participated in the development of a number of cellular-based gene therapies for the treatment of cardiopulmonary disorders taking them from initial concept, through appropriate animal disease models, and into first-in-human clinical trials. He is currently directing the manufacturing of these cell products for trials treating patients suffering from pulmonary arterial hypertension, myocardial infarction, and sepsis. He is a Scientist and Director of Biotherapeutics at the Ottawa Hospital Research Institute, Assistant Professor at the University of Ottawa, and Chief Scientific Officer of Northern Therapeutics.